There’s a new form of styling which will hopefully cause no woman to have to suffer the indignity of unflattering dressing-room lighting again. These new concept of fashion styling, ships curated clothing and accessories directly to its customers. The selections are based on a 10-minute style profile that asks practical questions about height, weight and body shape, but also drills down for style preferences and whether a customer wishes to flaunt her cleavage, arms, legs or midriff, or keep them covered. Users schedule how often they receive new deliveries. The heart of these businesses is in its stylists. They draw from more than 200 brands—six of them exclusive, representing more than 30 percent of the company’s merchandise—to personalize each itemized box. Users pay around $20 styling fee per order, which goes toward the items they keep; they usually have three days to return the rest. If they purchase all the items, they receive a discount. 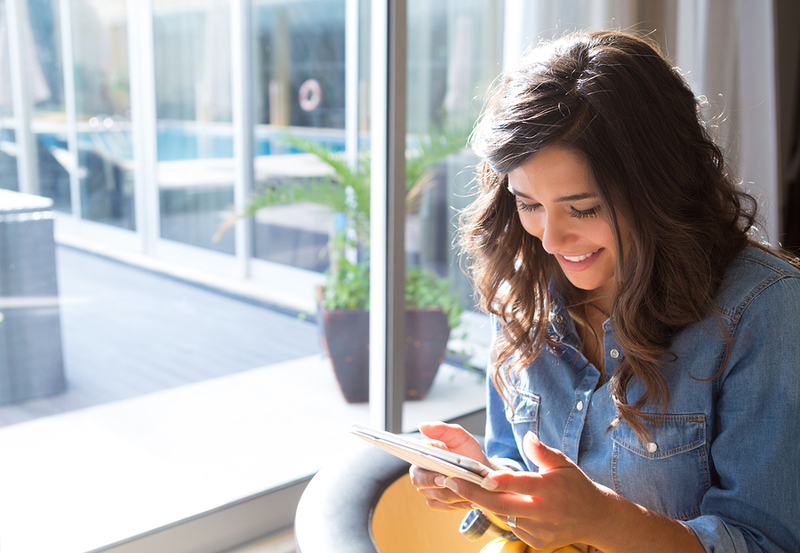 It is no surprise that all consumers are choosing brands that are convenience first oriented. OXXO has been in this train for the past 10 years, offering it’s customers the convenience of an ATM style pick up & drop off system that allows it’s customers to drop off and retrieve their dry cleaning 24 hours a day. According to the Washington Post, the average 18+ American works about 42 hours per week, and the average corporate America employee works until 6pm – 7pm. This schedule leaves very little room to pick up or drop off your clothes from a traditional dry cleaners which usually works on a 7am – 7pm schedule. It is incredible to think how far technology has taken us and how fascinating it can be. Besides OXXO’s cutting edge technology, the company is very aware of the damages that it can cause the environment, and that is why the company offers a balanced combination of environmentally friendly cleaning and quality hand ironing which allows the business to continue to produce job opportunities within the company. 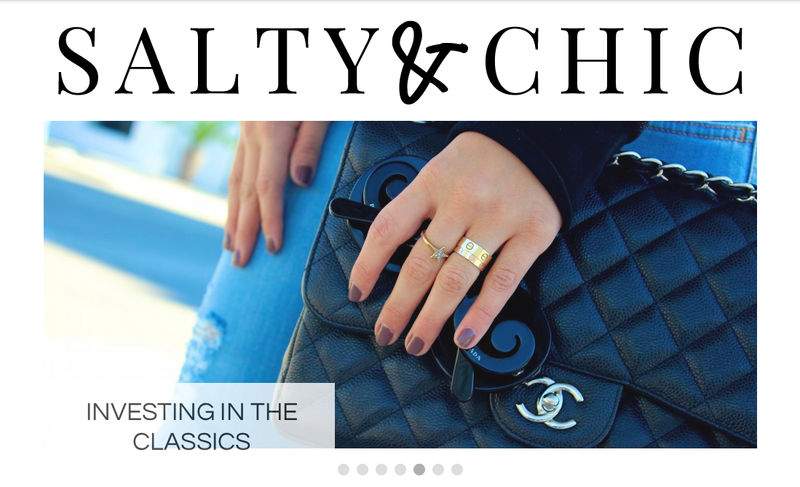 We recently had the pleasure of working with Carolina Arango from Salty & Chic, a young blogger that dedicates her life to writing about fashion and lifestyle. Carolina has a great following at her young age and it was a marvelous experience to collaborate with her to develop the OXXO Lookbook. OXXO Lookbook is an instagram series of fashion tips, dedicated to all our fashionista customers. Obviously, we are in the garment care business, the one thing we have in common with our customers is the passion for clothes, and Carolina is very good at expressing hers too. Each instagram will include fashion tips along with an instagram clip that will show Carolina rocking the different looks with tons of style. OXXO is proud to be part of a stylish, environmentally conscious community that is filled with artistic flare and inspiration in every corner, and the OXXO lookbook takes part of this purpose, inspiring our customers to dress up and express them selves through fashion. Remember to follow us on instagram (@oxxocarecleaners) for more of the OXXO Lookbook , and stay tuned for some of our fashion giveaways. LOOK OUT FOR OUR FIRST STORES IN NORTH & CENTRAL FLORIDA OPENING IN THE CLERMONT AND SOUTH CHASE AREA! Our Area Developer, which serves the North & Central Florida Area, is offering attractive opportunities in cities such as Cocoa Beach, Daytona Beach, Gainesville, Jacksonville, Melbourne Beach, Orlando, Ocala, St. Augustine, St. Petersburg, and Tampa. With a new growth model and territorial distribution design that offer franchisees a protected area defined by postal (Zip) codes. Franchisees, under this model, will have the option to enter into a growth commitment that will allow them to open a number of stores within their territory. This will increase their growth opportunities, develop a pick-up and delivery circuit, and cover the territory efficiently maximizing benefits. The number of stores will be determined by the territory potentiality, if franchisees desire not to enter into this commitment, their territory will be protected by one or a smaller group of postal codes. The Area Developer’s first franchisee will be initiating operations this Summer 2015, in South Orlando. A franchisee that is aiming efforts to cover different important areas such as Hunters Creek, Lake Nona, and others. 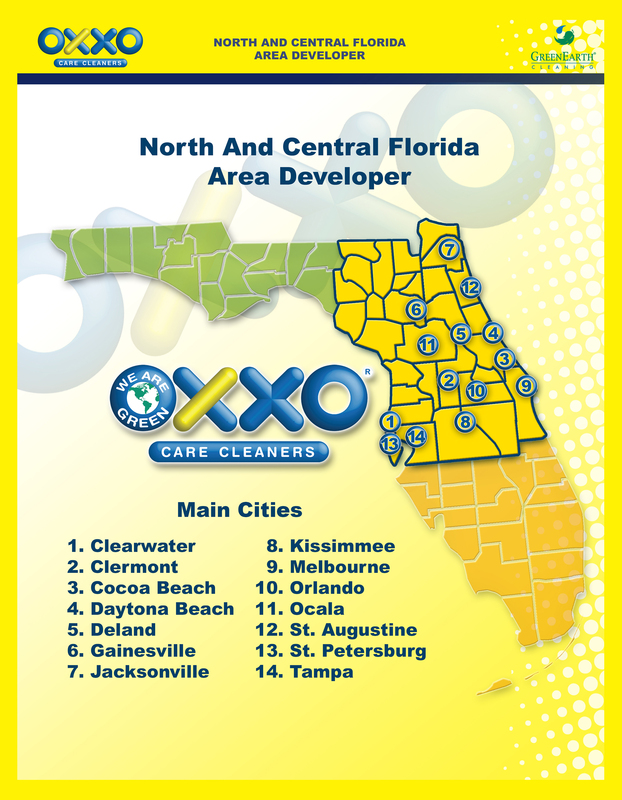 For additional information about our Area Developer and the opportunities they offer do not hesitate to contact G. Alejandro Gallegos at 407.979.4551, or at galejandrog@oxxousa.com.